Develop in partnership with the industries with continuous upgrading in order to make it industry relevant. Experienced tutors from the academia, industry and policy making agencies balancing the individual needs for adequate technical knowledge and practical case studies. 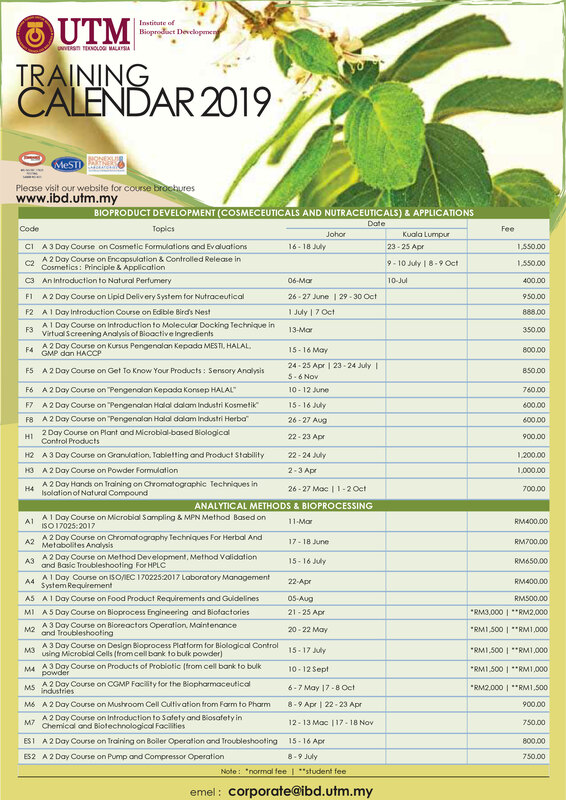 Public short courses at various centres. IN-HOUSE PROGRAMME where the course modules are designed to suit the need to individual companies. For courses organized at IBD ,participant will have the opportunity to operate semi industrial scale process equipment with full control and instrumentation setup.